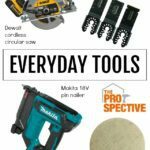 Drilling and driving, almost everyday, almost every project, if you DIY then you know you will be drilling and driving to accomplish most tasks. 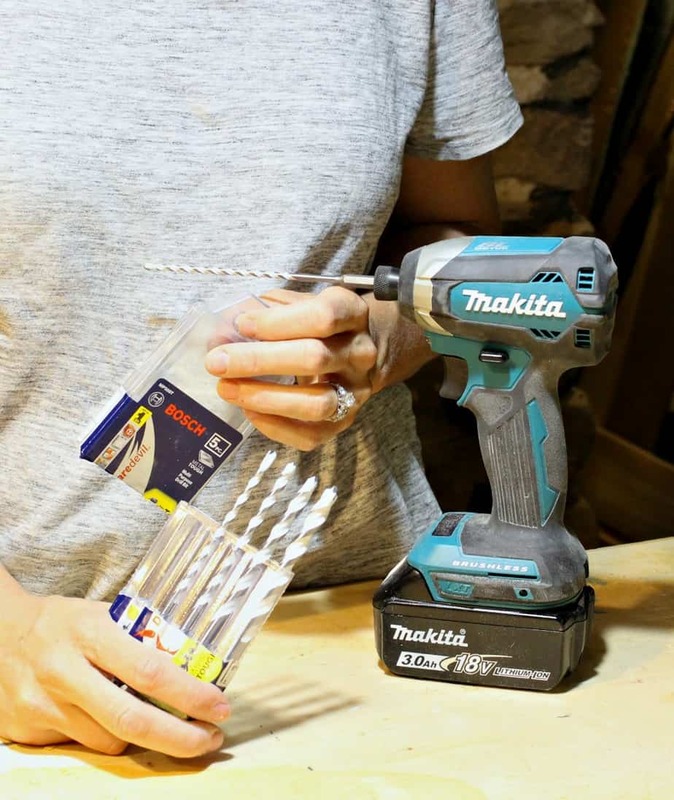 Today I’m featuring the Makita 18V brushless impact driver combined with the Bosch multi-purpose carbide drill bits to tackle a variety of common project needs. 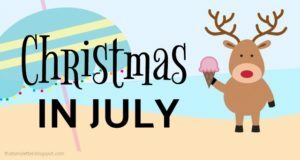 To be honest I had a difficult time narrowing down my photos for this post because I found myself using the impact driver and drill bits on so many different projects! 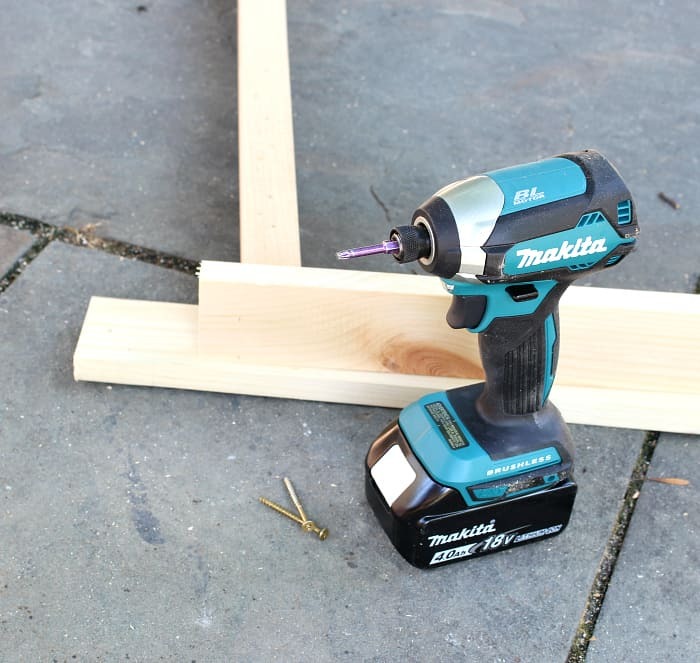 A tool review of the Makita 18V impact driver and Bosch daredevil multi purpose carbide bits. 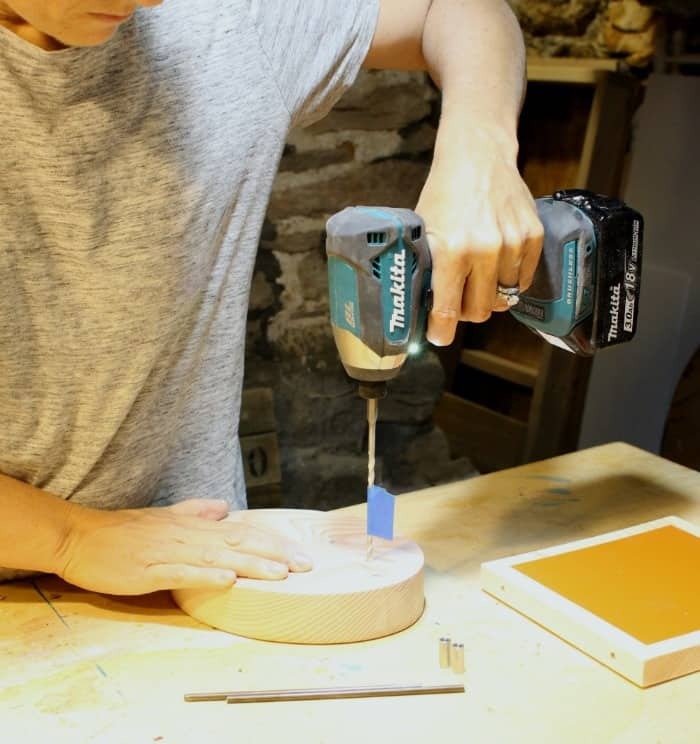 Drilling and driving into various materials. 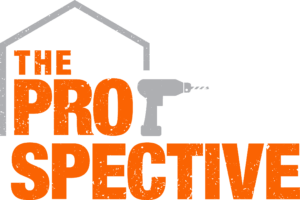 I prefer an impact driver over a drill for a majority of uses. 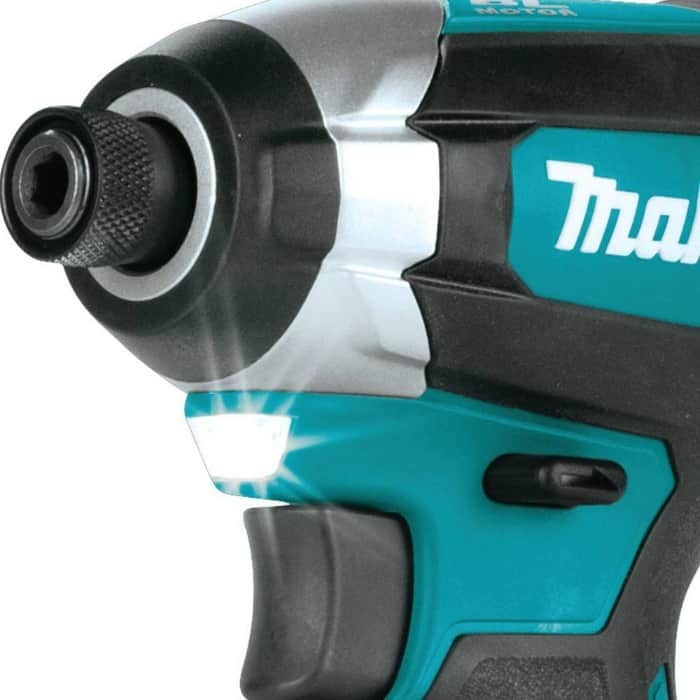 The brushless motor in this Makita 18V impact driver delivers 1,500 in. lbs. of torque and because it’s brushless the motor runs cooler and more efficiently for longer life. 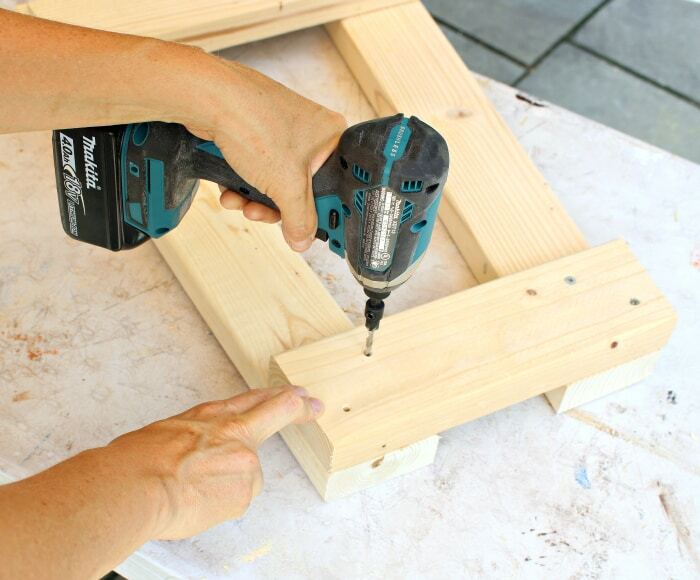 Drilling pocket holes swiftly as this impact driver weighs only 3.3 lbs. with the battery! The compact and ergonomic design puts it at only 5″ long and the soft rubberized grip handle provides increased comfort on the job. 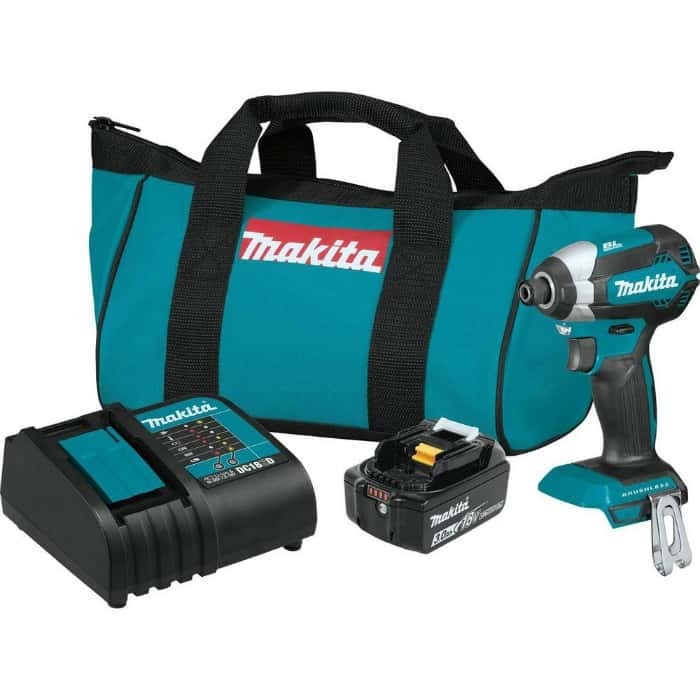 This Makita impact driver kit comes with an 18-Volt lithium-ion 3.0Ah battery which features an integrated LED battery charge level indicator, a storage bag and battery charging station. 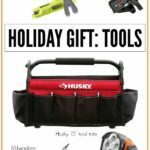 It is compatible with any Makita 18-Volt lithium-ion batteries with a star symbol and there is a 3-year limited warranty on tool, battery and charger. 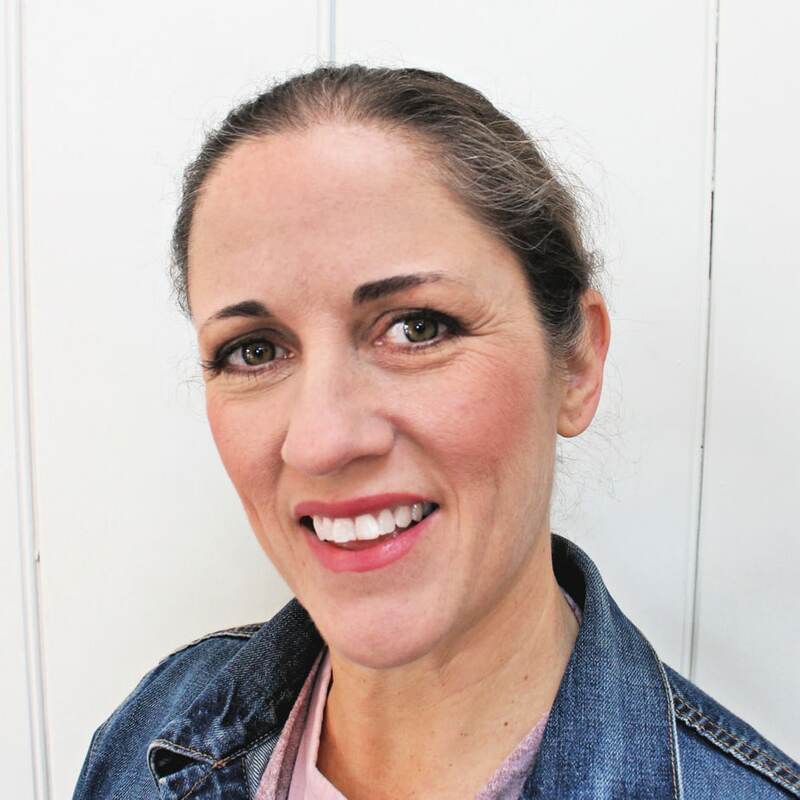 Ready to use the Bosch carbide drill bits? Made from innovative tungsten carbide plate they are suitable for multi-purpose applications: tile, masonry, wood, metal and concrete. 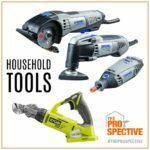 These are the bits you want to have on hand for all those household situations when you’re dealing with various materials beyond just wood. Bosch has conveniently packaged the bits into a handy storage case. The five bit set includes (1) 5/32 in. x 4 in. x 6 in., (1) 3/16 in. x 4 in. x 6 in., (1) 1/4 in. x 4 in. x 6 in., (1) 5/16 in. x 4 in. x 6 in., (1) 3/8 in. x 4 in. x 6 in. 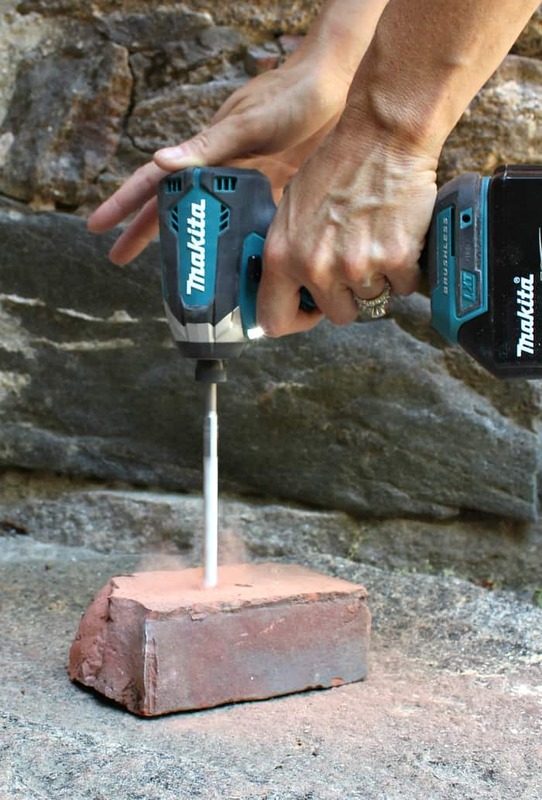 No worries the sharp diamond-ground edges deliver high drilling speed and the steep flute with ribs optimizes dust removal in any material as you can see above the brick dust kicking up and out. 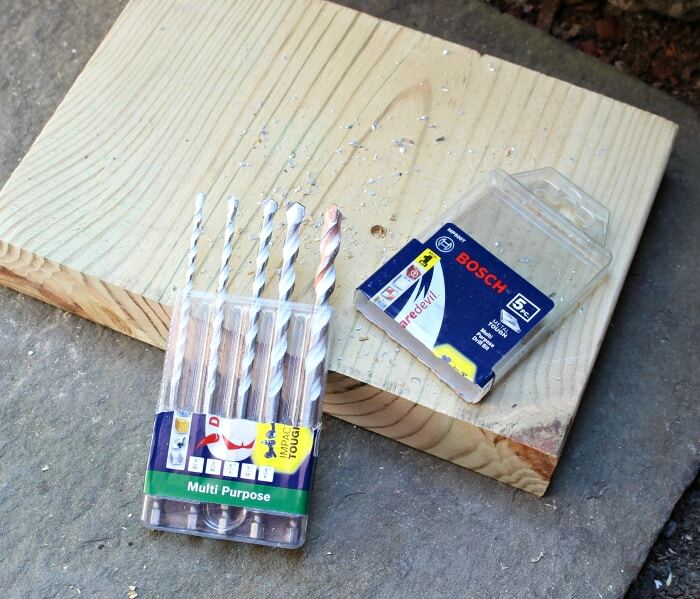 These Bosch carbide drill bits are capable of handling 1/4″ flat metal with ease. 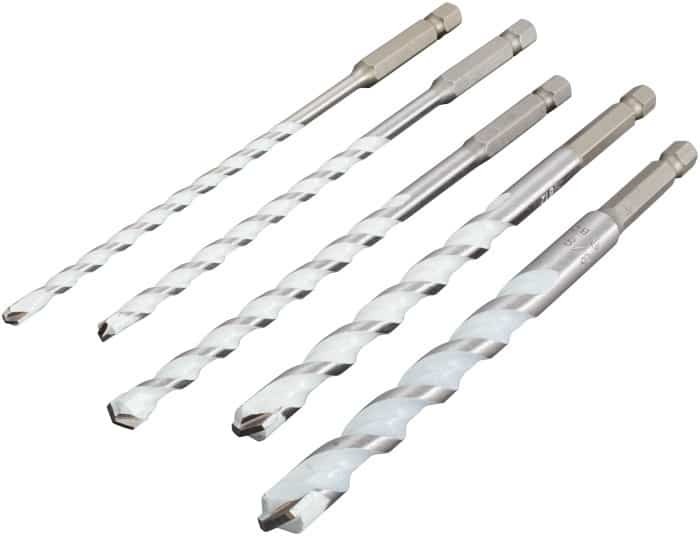 The multi-grind technology makes for faster drilling and longer life in multi-material applications. 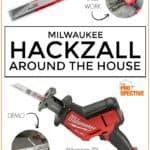 The hex shank makes it perfect for use with impact drivers and drill drivers and the robust carbide head provides long life in impact applications. Plus they are just beautiful to look at too! 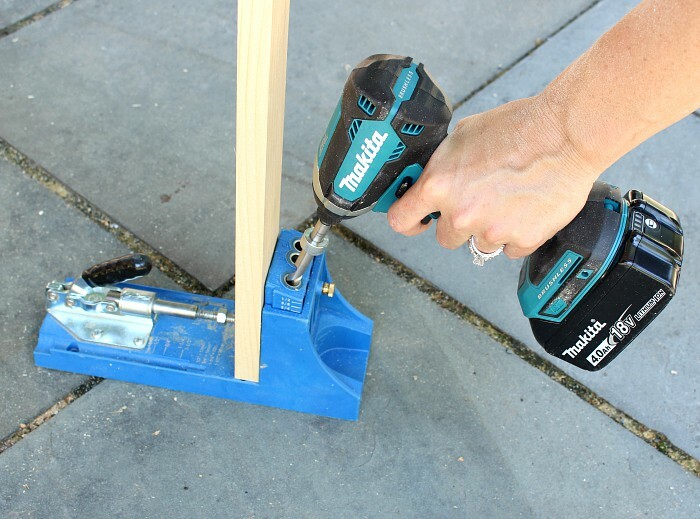 A winning combination with the Makita 18V impact driver and Bosch carbide drill bits. 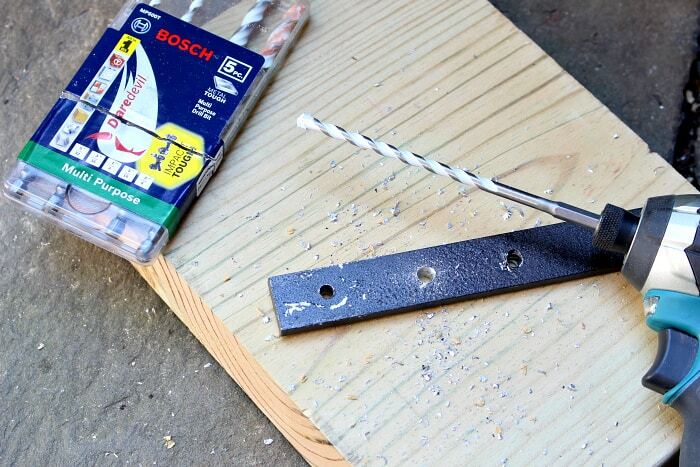 Having these on hand you can tackle nearly any DIY project beyond wood with ease.